We pulled up for lunch and the place was empty. A nice man informed us that every table in the place was reserved but we could sit at the back of the bar. We chose a beef roast and their house burger and chips. Despite the fact that the place was empty except for a table of 8 that had just arrived, twenty minutes and 2 newspapers later still no food. I asked the nice waiter if he knew how much longer it would be and he came back and said 7 minutes. Well I picked up an old copy of OK magazine and finished it before I got fed up and asked the female waitress who total ignored us the first twenty times she walked past how much longer it would be. She went off and informed me they were just starting (yes starting) our food now. I pointed out we had been waiting nearly an hour and she informed me it wasn't an hour it was FIFTY minutes. How can you argue with someone like that! Well ten minutes later in arrived. Cold fatty over cooked beef, undercooked Yorkshire pudding with a pool of fat in the middle of it which tasted like cold fried bread. Obviously twice cooked roast potatoes and a few veg in a side dish. These sadly were also over cooked and sitting in a pool of water in a cold and pointless side dish covered in parsley. My beloved fianc�e who had the burger was presented with a a dry overcooked brick of a burger about an inch and a half thick and a pile of cold and again over cooked chips. We ate in silence and left. No apology, no discount, not even a free coffee. All this luxury can be yours for the sum �26. Don't bother. OH and the nice tables at the front were still empty when we left. 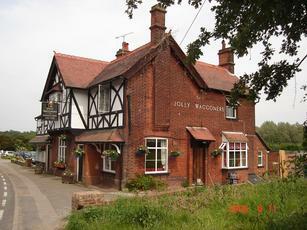 Another country pub that concentrates on the family food market. Having said that it's still a pleasant pub to visit just for a drink with a choice of real ales, large outside seating area with childrens play area, large car park.